When Alice follows the white rabbit down the rabbit-hole, she finds herself in the most unusual of places. It’s a strange world of mad tea parties, disappearing cats, and a Queen of Hearts who – convinced that Alice has stolen her tarts – wants to cut off her head! How, oh how, is Alice ever going to find her way home? 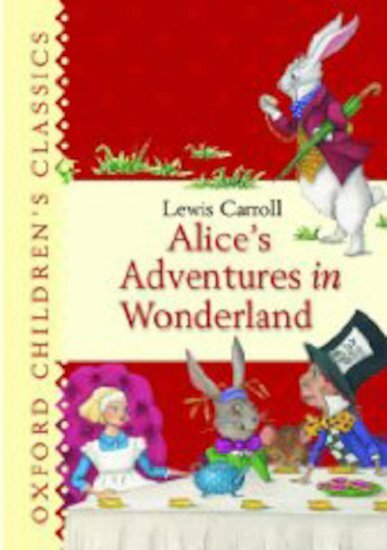 A beautiful hardback edition of Lewis Carroll’s best-loved story, which begs to be read again and again. I loved the way Alice falls through a hole in a tree and the Cheshire Cat!! Great book! This is a classic. I never get tired of reading this. This is for all ages, no matter how young or old you are you will love this book. Brilliant story full of wonderful characters and a marvellous setting. For all ages young and old. Have you watched Alice in Wonderland? Try the book too, when she goes on her adventures and she explores lots of stuff!She meets new people on her way like the Queen of Heart who is really evil but then she meets and Mad Hatter then…......READ THE BOOK IF YOU WANT TO OW MORE! HAHAHA!